Today is an especially exciting #AMonthofFaves topic for me because I really feel like I've found my blogging stride this year when it comes to tech essentials and planning. We're talking about essential computer programs, browser plugins, websites that rock for blogging, etc.! Feeling more organized has really stoked my creativity...especially in the latter part of the year. See what Tanya Patrice at Girlxoxo.com and Tamara from TravelingWithT.com came up with! Tanya Patrice is especially adept at this particular topic! In fact, let's kick this post off with a specific shout out to Tanya Patrice for her post, "How to Use Evernote as a Blogging Editorial Calendar!" Evernote has seriously changed my blogging life and my organizationalness (word). I've tried several digital platforms for organization in the past with no luck, but I'm really terrible at that first step....the setting up of all the things. I have a hard time envisioning what format will work best for me, so I followed Tanya Patrice's steps for setting up a blog editorial calendar and quite simply, I LOVE IT. Evernote has a Chrome browser extension called Web Clipper! It's a handy little button that lets you send bookmarks, articles, screenshots, email trails and other items straight to Evernote. You can easily pop them into existing notes and notebooks and you can even tag them! When it comes to blog graphics, PicMonkey was all the rage for a long time. I loved it, too! But now that I've found Canva I may never go back. I especially love Canva for it's easy user interface and it's pre-sized graphic templates. I use the "social media" square graphic the most for event buttons and Instagram promotion. They do have a limited amount of free elements, and I've gotten by on those so far because you can also upload your own images to use in the graphics you create. A while back I was looking for an easy-to-use, high quality stock photography site, and Allison from The Book Wheel, mentioned Pexels.com! I had never heard of it, but I could not be more pleased with the quality of their free photos. Great range of subjects and beautiful shots. Finally, I have a confession to make. I've given up Hootsuite. Maybe it's because I use it every day for work, but I got super sick of looking at ALL THE THINGS. Column upon column. I do my daily tweeting and interacting from within Twitter.com itself (what a concept! ), but I still like to schedule out some of my posts...especially if there's an event going on. Buffer.com allows me to set up specific time slots and posts into it, Buffer will analyze my Twitter use to create a timeline of busy times, or I can schedule posts to go up at specific times. Or a combination of all of those! Options! I can integrate Twitter and Facebook and I can gather analytics. That's really all I want to do. I also have the Readathon accounts integrated into it because it's super helpful during those specific event seasons to keep the social action going around the clock. Can't wait to see what you guys have to recommend on this topic! Yay! I've been using Buffer too...and the actual Twitter interface. All those columns were overwhelming to me. And have recently started using Canva too - which I love for some things! I'm going to check out pexels.com and Evernote. I haven't heard of Canva or Pexels.com. I am going to see what they are. Always good to have another photo editor and photo site. 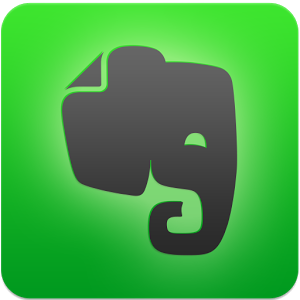 Elizabeth, I'm a much bigger fan of Evernote's internet interface than their actual computer program, which I think is weird of me. Once I had an idea of how to set it up for myself I jumped in with both feet. That's always the hurdle for me...how to make it something not superfluous. Thanks for the encouragement. I will look at it again. Question...is Canva free, and does the word Canva always show in every photo? It has free elements and paid elements. On the free backgrounds and stuff, you can change the colors, opacity, without having to pay. So far I've been able to subsist on the freebies since you can also upload your own photos/backgrounds, etc. to use in their layouts. Hm, I'm a picmonkey user but I'm going to check out canva now. Both are good for different reasons, but I love the premade layouts and stuff in Canva. Much prettier text. I'm learning a lot today. First, Canva and now Buffer. I have to check them both out. Yes...I am loving what I am finding. I looooove Canva, especially when I need to make super quick graphics for the company Twitter. I have a feeling that Pexels is going to change my design life, too. YES! Quick is the key word there. I hope you love Pexels as much as I do! Dudette, it's so good. I really needed that initial layout of how to work with it and set it up. I'm not creative in that way. Ooh thanks for sharing Pexels - awesome site! And thanks for the shoutout about using Evernote. So glad it was helpful. It's such an awesome program for doing multiple things. It really is. I'm finding it helpful for blogging, and also for work. I keep a running list of items I'm working on in any given day or week, and it helps me keep up with time tracking as I work through tasks in a day. So good! Yay CANVA! I love it to death! Because of your mention, I had to answer today's question, Andi! Oh, definitely need to check out Pexels. And Buffer. I'm still a Tweetdeck girl myself, and I really like the columns, actually (though really, I only use my home timeline, mentions, favorites, and a shortened column of a list of people I actually interact with), but it can definitely get overwhelming. And so glad to see Canva on your list! I still use Picmonkey for things like collages, but I like the design-from-scratch options in Canva so much more. Yeah, I think PicMonkey still wins for book collages! You can make collages in Canva too -- there's a whole bunch of photo frames and layouts in there. I'm gonna have to check out Canva's collage feature. Mostly I've used it for graphics that will transition well from blog to Instagram and Twitter thus far. Tweetdeck and Hootsuite are very similar, and I worked with the columns for such a long time, but once I started using Hootsuite Enterprise for work I just kinda flaked on it for personal use. Oh gosh, I really need to give Evernote another shot. I think I gave up on it too quickly the first time around. Do you have the basic plan? I have the basic plan, and I also prefer the web interface to the actual computer program. That sounds odd, but the web interface seems a little cleaner and more stripped down. Once I tried Tanya Patrice's idea for laying it out as a blogging calendar, I was all in. some great resources here -- buffer is new to me. I'm going to have to look into Canava. I've used PicMonkey a few times, but I haven't made too many of my own graphics yet. I have hope for 2016, though!! Truly, once you go Canva, you can NEVER. GO. BACK. 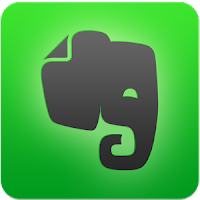 I love Evernote! I don't use it for blogging, though. I mainly use it for clipping info for travel (restaurants to try, sights to see, itineraries, car rental info, flight info, etc. ), as well as recipes I want to try. Of course, I tend to forget about the recipes, but keeping all our travel info in one spot (and not having to print out confirmations) has been very helpful. Oooh, I love the idea for travel! I think I'll try that out for next year's vacation. I'm so glad that you're enjoying Pexels! I found a few other sites I'll have to send you, too!